OEM auto glass windshield stands for Original Equipment Manufacturer. This means that the auto glass windshield meets the original specifications for safety and quality as the auto glass that it came with from the factory. Auto Manufacturers’ do not make the auto glass windshields themselves; they use different auto glass manufacturers to make the glass for your vehicle. 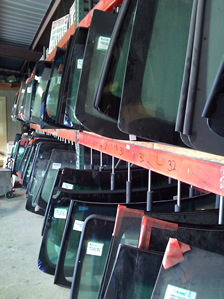 A “dealer” windshield is the same windshield the auto glass replacement shop should have, made from the same auto glass plant, but in the process, the auto glass manufacturer stamps the brand name, such as Toyota, or Ford, making it a “dealer” glass which is the same exact glass, but more expensive due to the brand name.